Unidentified Deimos pattern Vindicator. 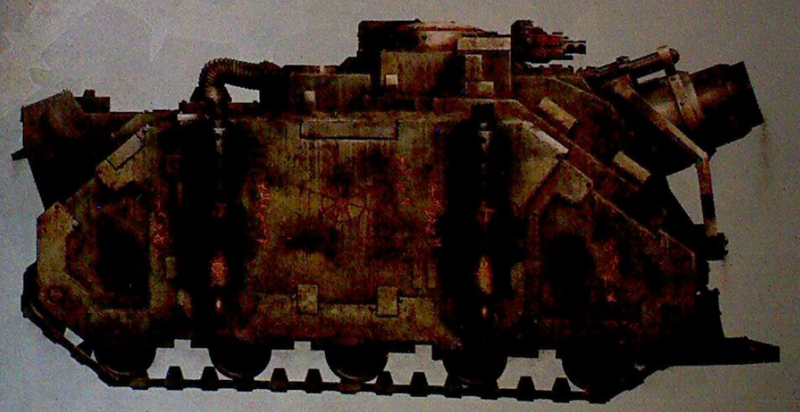 This unmarked war machine was discovered circa 300.M40 on the twilight world of Celephace, having lain dormant beneath the irradiated sands for many long millennia. The vehicle became an object of veneration for the local dusk-tribes, who made gruesome blood offerings to the Daemon-thing they believed resided within its pitted metal form.